2018 Catskills Tee - included in registration if registered by July 25 only. Tees included in packet pickup Friday and Gildan Softstyle. Saturday. Raglan Sleeve, Full Zip. Order one size larger for more relaxed fit. Included [+more] in racer packet at race check-in. Racer Cut. Included in racer packet at race check-in. 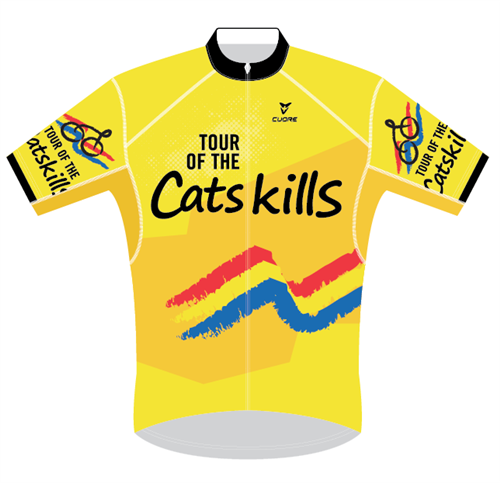 Order from www.tourofthecatskills.com [+more] if you would like merchandise shipped.